I created theses character animations for Marvel's Inhuman's on ABC for Project C.
I animated and designed sound for these motion idents for online entertainment network Machinima for Clever Creative. 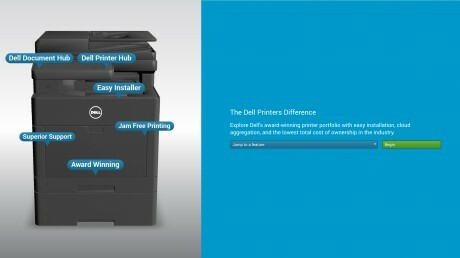 I created these promo spots for the ABC show Designated Survivor for Project C.
I created these promo character spots for the ABC show Designated Survivor for Project C.
I created these character animations for Amazon Studios' Transparent for Project C.
I created this 3D microsite for Dell's new 2017 line of business printers. I designed and animated these interface screens for the short film Haunt of Jackals. I designed and animated these interface screens for the short film Haunt of Jackals. The script called for a face/interface for a bio/tech engineered soldier hacked together from old software by a military contractor. This clip shows the Alert Screen, Boot Screen, Debug Screen, and the soldier when it's "hearts and minds" program, cobbled together from old children's software, malfunctions. I created these promo character spots for the ABC show Wicked City for Project C.
This spot was created for Dropbox at Palisades MediaGroup as part of their Dropbox for Business campaign. I edited and created the motion graphics for these character promos for the ABC show Of Kings and Prophets for Project C.
Project C asked me to create this motion intro for the Official Into the Woods Website. Project C asked me to create this motion intro for the Official Into the Woods Website. Created in After Effects. Project C asked me to create these 7 motion backgrounds for the Official Godzilla 2014 Website. Project C asked me to create these 7 motion backgrounds for the Official Godzilla 2014 Website. Created in After Effects with particles from Trapcode Particular. Project C asked me to create this motion background for the Official Dracula Untold Website. I animated this intro for the official site for Michael Mann's 2014 film Blackhat for Project C .
I animated this intro for the official site for Michael Mann's 2014 film Blackhat for Project C. All animation is programmed in Flash and exported to layers that were composited in After Effects, then rendered to h264 for the html site. 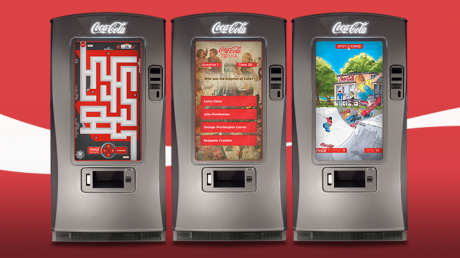 Madhouse NYC asked me to code three games for the new Coca Cola Interactive Vending Machine. Madhouse NYC asked me to code three games for the new Coca Cola Interactive Vending Machine. The games were created with Adobe Air and are built to allow Coca Cola to re-skin and customize the games for future content updates. Design by Orange Sparkle Ball. Project C asked me to create a motion intro for the upcoming G.I. Joe Retaliation website. Project C asked me to create a motion intro for the upcoming G.I. Joe Retaliation website. The title was created in After Effects with particles from Trapcode Particular. 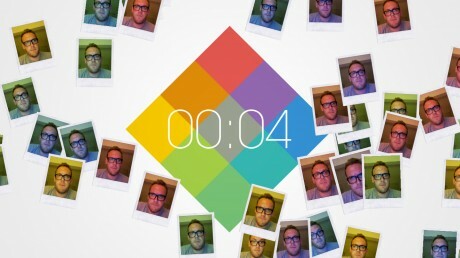 An interactive application for Polaroid for the launch of the Grey Label printer and camera at Bloomingdales Manhattan. Madhouse NYC hired me to design an interactive application for Polaroid for the launch of the Grey Label GL-10 and GL-30 printer and camera at the Bloomingdales storefront in Manhattan. The app allowed passersby to have their pictures taken by a mannequin holding a polaroid camera. The image was digitally treated with a Polaroid photo frame, then "printed out" on a flatscreen made to look like a jumbo Polaroid printer. People could see previous photos taken on an animated flatscreen that counted down to the next photo.